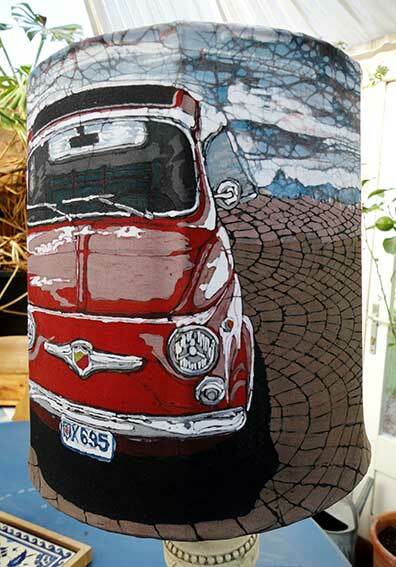 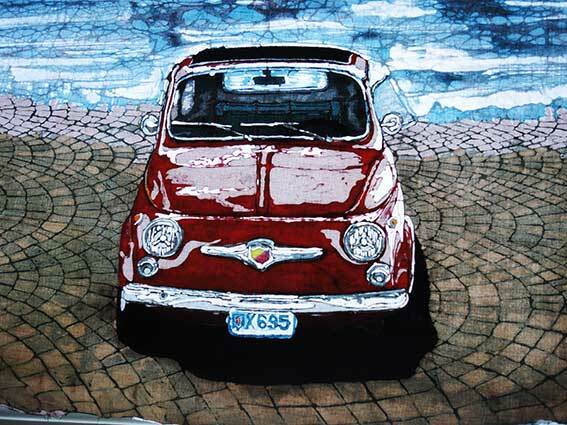 This Fiat 500 lampshade is definitely one of the more bizarre pieces of Batik I have been commissioned to do! 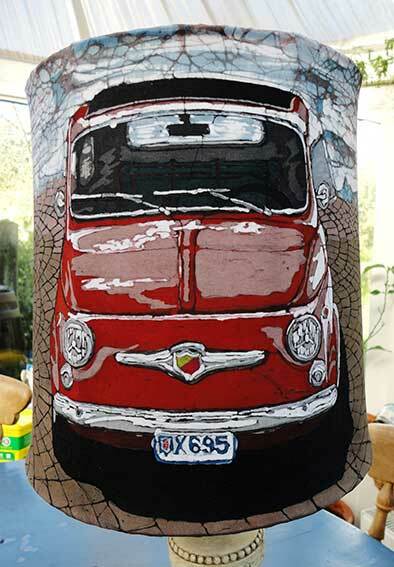 Technically it was a very complicated subject to pull off. 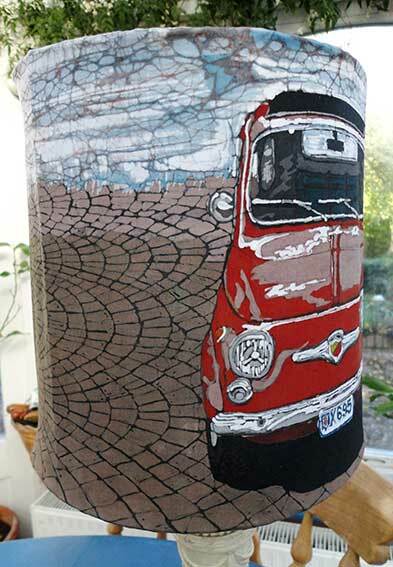 Though, harder to achieve even than the car itself, was the amazing Milanese decorative brick paving that it was parked on, which went all around the lampshade.